Nothing says late spring like big bright stalks of asparagus! 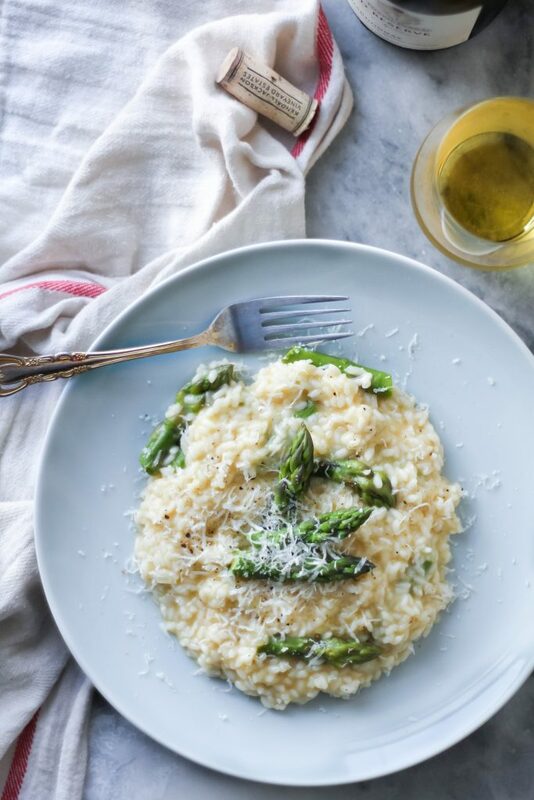 Grilled, sautéed, ribboned, or, our favorite, in a creamy risotto - this seasonal dreamboat of a veggie takes center stage for a few weeks out of the year and we're here to give it it's leading role! 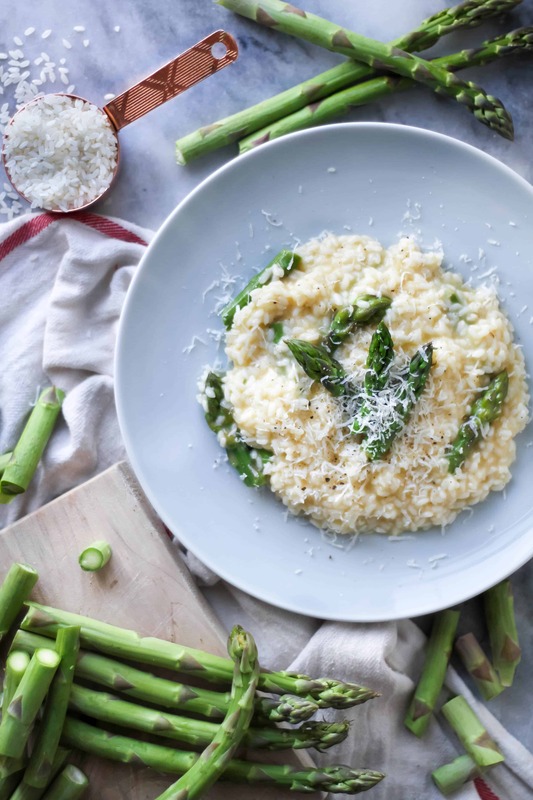 Not only is risotto a classic Italian comfort food, but it also is an excellent costar for our dear asparagus. The smooth buttery and wine flavored rice highlights the best qualities in asparagus - cooked to perfection and still slightly firm (no one likes mushy asparagus) - the two just compliment each other perfectly. 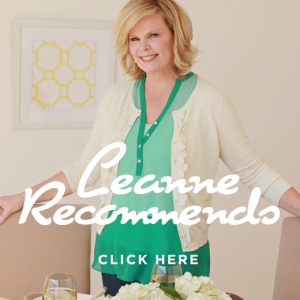 Don't take our word for it, test this recipe yourself! You'll be singing praises about this seasonal culinary debut in no time! First, to "parboil" is to partially cook vegetables in boiling water. So when you parboil the asparagus, cook them in the boiling water for no more than 2 minutes, then immediately strain and rinse with cold water so they don't continue to cook, and set aside. In a large sauce pan, over medium heat, add broth. Bring to a simmer (just before boiling), then turn heat down to low. In a separate large sauce pan, heat ghee over medium heat. Add onion and cook until translucent - 2 to 3 minutes. Add rice and stir constantly to ensure all grains are evenly coated in oil, sauté for another 2 to 3 minutes. Add white wine to pan, continue to stir and cook until wine is fully absorbed. Then begin to add broth, one ladleful at a time. Stir continuously between each ladleful, and only once the broth is mostly absorbed do you add the next bit of broth. 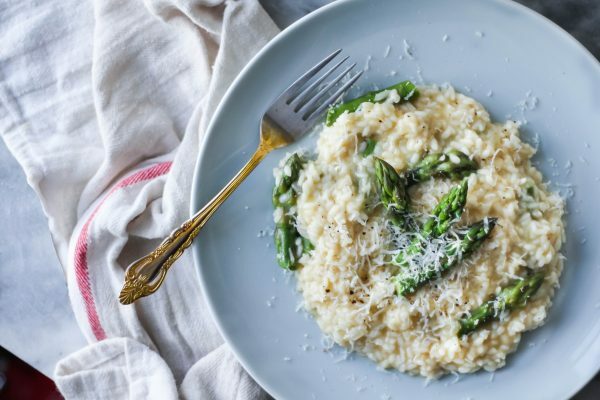 Once you're down to the last couple cups of broth, and the rice is slightly tender and still slightly firm to the bite with a creamy consistency, add the asparagus with the next couple ladlefuls of broth and be sure to reserve 1/2 a cup of broth. Turn heat down to low and cook for 3 to 5 minutes or until broth is mostly absorbed and asparagus is heated through. Then ad remaining ingredients: reserved broth, butter, Parmesan, and season with salt and pepper to taste. Replace rice with 6 cups of cauliflower rice. Only use 4 cups of broth, and it can be added at one time - just cook until mostly absorbed and cauliflower is tender and fluffs easily with a fork (since it cooks much faster than real rice, it doesn't require the same cooking method). 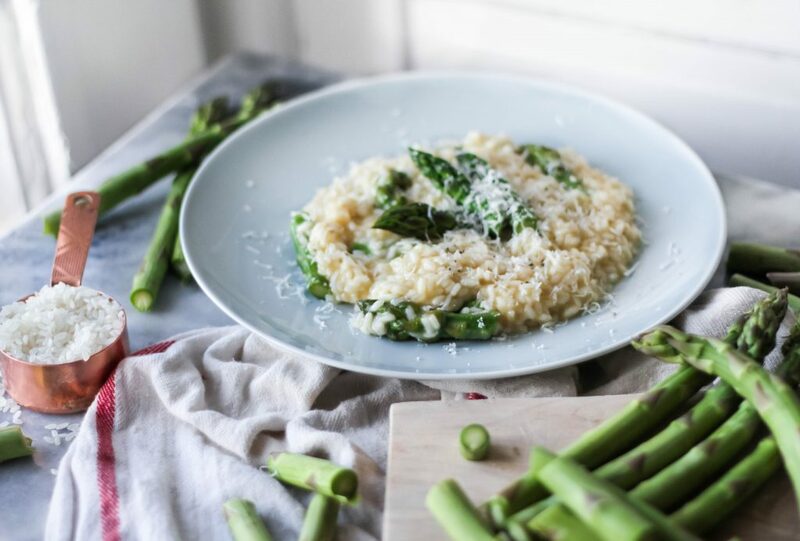 Then just replace Parmesan with nutritional yeast, and you're ready to go!